As I had told you in my post a few days back that I had bought 3 Pac Brushes. 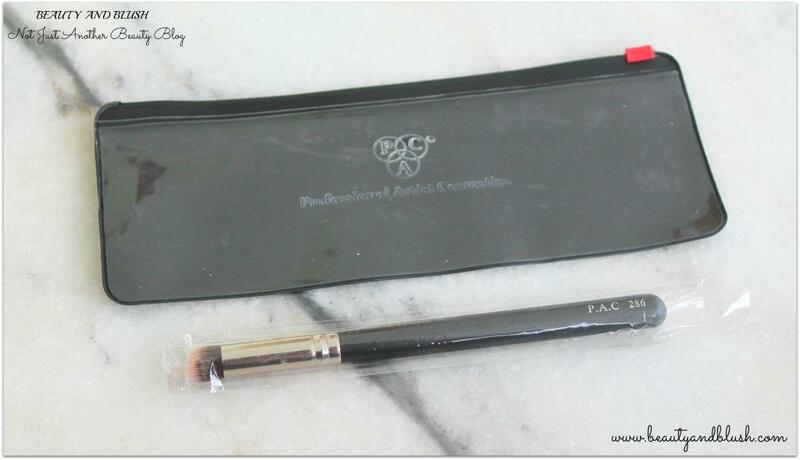 I had reviewed the Pac 002 Flawlessly Me Brush last week and today I will be reviewing the Pac 286 brush. 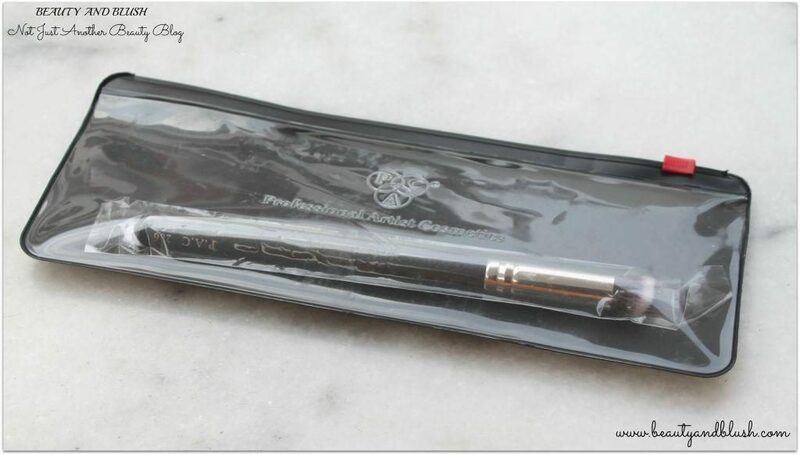 You can also read: Pac 002 Brush Flawlessly me Brush. Pac brushes are really very good quality makeup brushes and they are so affordable too. I got 3 brushes for Rs.2000 whereas at Mac I bought a single brush for Rs.2100. 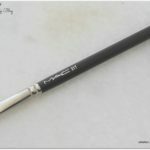 You can compare Pac brushes to the world famous Mac brushes in terms of quality. Pac brushes are really good. I don’t think I will ever go back to Mac again for makeup brushes. So without further ado let’s jump into the review. An angled concealer brush, smartly designed to give you the required grip. Blend eye shadow with a crease less finish in the under eye area, that is always difficult to tackle. Gives an overall unblemished look to the face covering all kinds of scars and flaws. ◦ A small angled tip. ◦ Use it to apply or buff cream or powder products. ◦ Specially designed for the under eye area. You can buy it from Pac Cosmetics Official Website HERE. As you guys already know that I totally adore and love Pac brushes, I am floored with their high quality bristles and sturdy handles. 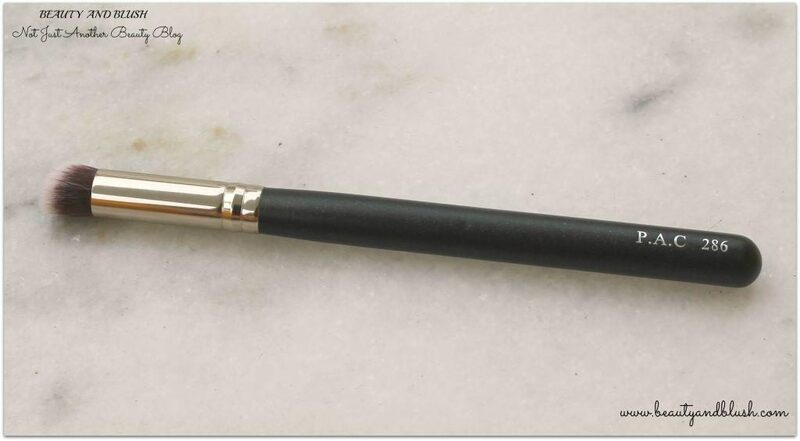 The brush comes in a black sleeve or pouch with a zip lock. It is a very high quality brush with a long sturdy black handle with the brush number on the handle. It is a duo fiber brush. Duo fiber bristles are designed to pick up and release lighter amounts of makeup for buildable and mistake proof application. This 286 brush is a small angled brush with very densely packed bristles for smoother application. I have really bad under eye circles and I need to color correct them before concealing. I have been using this brush to apply my Mac Orange corrector to my under eye area for the past 20 days or so and it has changed the way my under eye used to look. I just dab the brush very lightly in the corrector pan and it picks up just the tinniest amount of the product and then I stipple this brush on the dark circles where I need to colour correct. 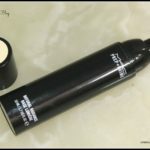 After placing the product I blend it in by tapping the brush very lightly on the area where I had applied the corrector. It blends the corrector so beautifully on my problem areas. After blending in the corrector I apply my foundation as usual and after that I apply a concealer on top. I wipe the same brush on a wet wipe and I apply my concealer with the 286 brush only. I dab it in the pan and pick up the desired quantity of my Mac concealer and dab it on my under eye area and blend it like I blend in the corrector. 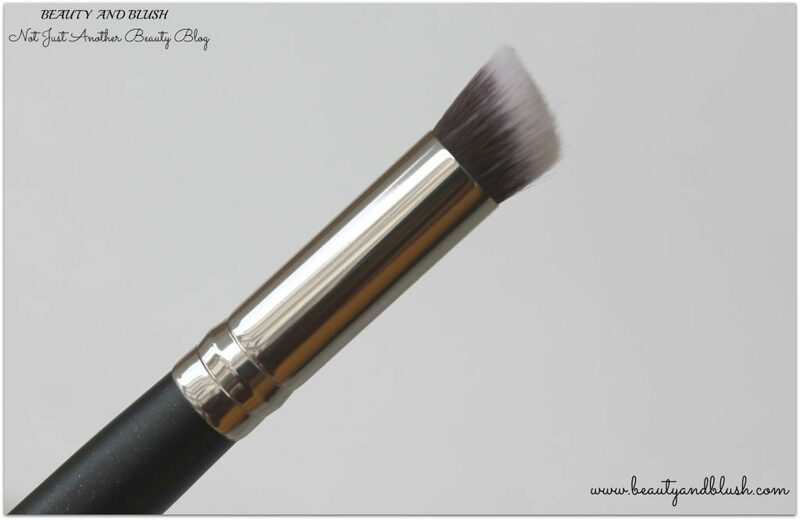 The brush works amazingly on the under eye area giving it a very smooth and crease less finish. As it is specially designed for the under eye area it just makes that area look so well blended and flawless. The angular tip of the brush helps to get into the inner corner of the eyes too where all of us tend to have some darkness. I also use this brush to apply my Mac paint pot in Painterly on my eyelids as an eyeshadow primer. It makes my eyelids look so well and evenly primed. This brush is also great for spot concealing too. If you have any acne scar or dark spot on your face this brush can be used to conceal those spots too. 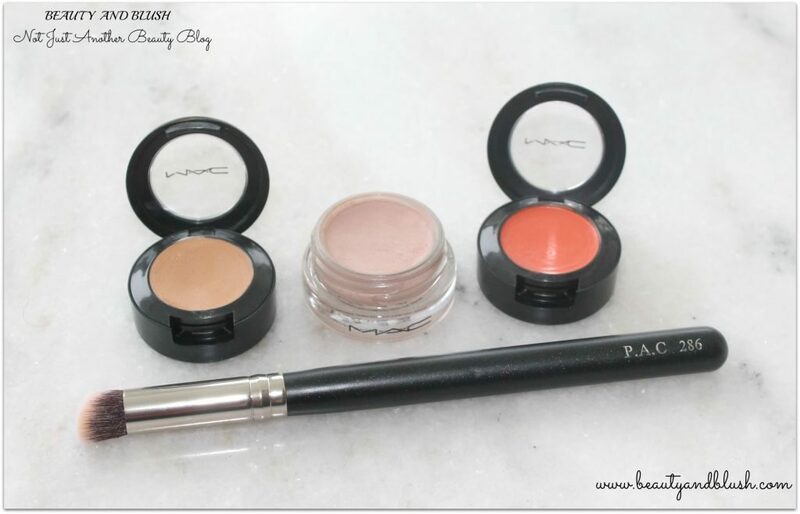 All in all, a great brush for correcting, concealing and priming the eyelids too. It is so soft on the delicate under eye area, it doesn’t feel harsh or poke at all. Definitely a must have brush. I have washed this brush thrice and it hasn’t shed even a single bristle. It is easy to wash and dries off quickly. Retains its shape after washing. Love this brush to bits… It has made color correcting and concealer a much simpler task. Thanks to Pac brushes and the amazing team at Pac. Thumbs up to these amazing quality makeup brushes. Works great on the under eye area. Does not shed any bristle post wash. I would give it a 5/5. 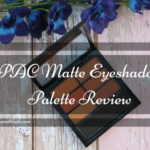 Will I repurchase the Pac 286 Brush? I would definitely buy another Pac 286 brush as I like to keep separate brush for corrector and concealer. I would also be buying some other Pac brushes too. Will I recommend the Pac 286 Brush to anyone? Surely, I would recommend everyone to get this brush for concealing purposes. If there are any Pac brushes that you love please comment down below as I would love to try some other Pac Brushes so looking around for some suggestions. Believe in yourself and live life to the fullest. Ankita this is an amazing concealer brush.Do get hold of this whenever you visit India.? I too believe that Pac is going to take over the Indian market with their super affordable brushes. I think I need this. Nice review and awesome brush. Thanks for introducing this brush to me. 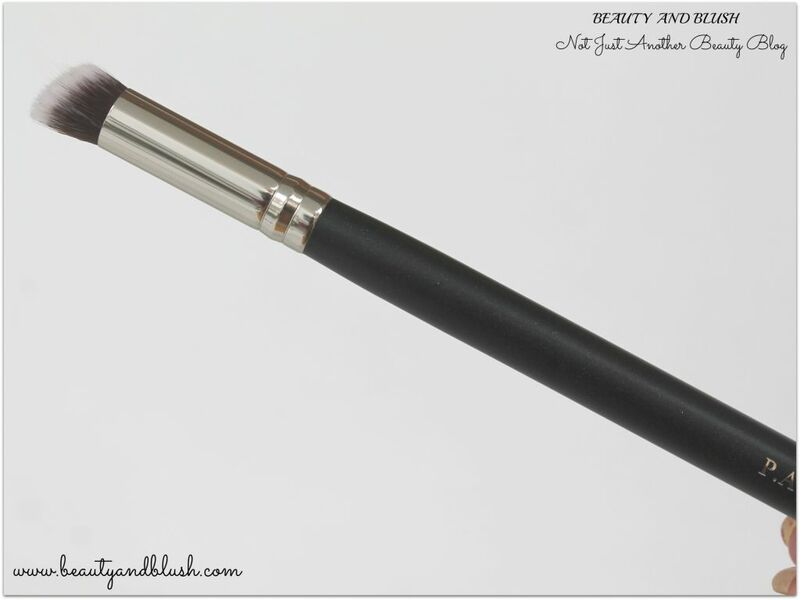 Alisha do try out this brush.It works beautifully on the under eye area.? 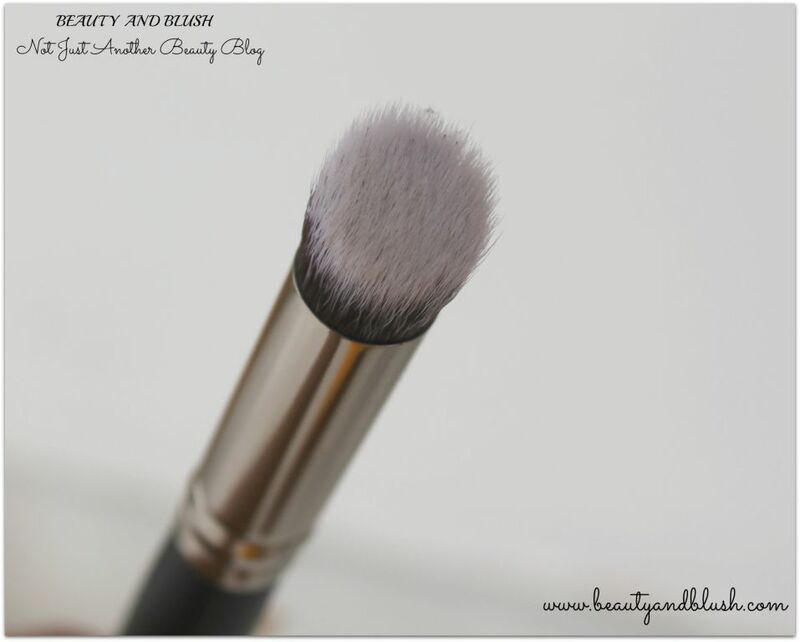 I need to try this brush, I currently use an elf brush for under eye concealing! Thripti do try this brush.It is amazing.? The brush looks really nice. I like how densely packed it is. Sangeeta I too loved how densely packed it is.It is a great brush. I love the packaging..its super amazing ? I too loved the packaging Himanshi…? I was on a look-out for a great concealer brush and this one looks good to try out. Thanks for the review! Najah do try this brush.It works amazing on the under eye area.Thanks a ton dear. Loved the review Yamini. I like how you do a detailed review of all the products on your blog. Thank you so much Sonali.I really like to do a detailed review of all the products so that I can cover each and every aspect.I think sometimes it can get too long and boring for my readers but i still go for detailed posts. 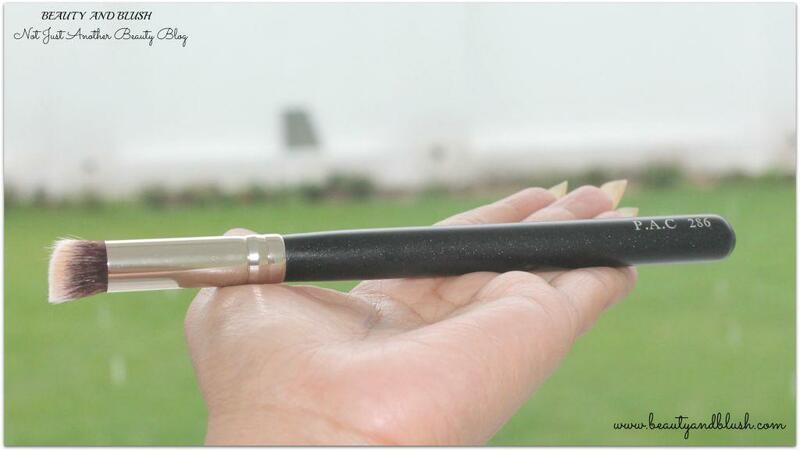 Ankita this brush is really awesome.Do get hold of this brush.? Nice review Yamini…bristles of these brushes are so densely packed ??? Thanks a lot Pratima.The bristles are really densely packed which makes it so easy to work with.? Karishma it ia really an awesome concealer brush.Thanks a lot for nominating me sweetie.Thanks a ton.?? This brush looks really of high quality and so multipurpose! Mariyam this is really a multi purpose brush. Swathi do grab this brush.It is awesome.Thanks a lot.? I have been hunting for such a brush since forever…but PAC products can only be accessed from amazon and they have delivered me wrong shades and brushes thrice. Salomi I ordered these brushes from Flipkart as COD wasn’t available for my city.You can check it out there too.It is a great brush for concealing.? Thank you so much Anamika.I have some more brushes from Pac in my wishlist and I will burn a hole in my hubby’s pocket too.Hahah…? 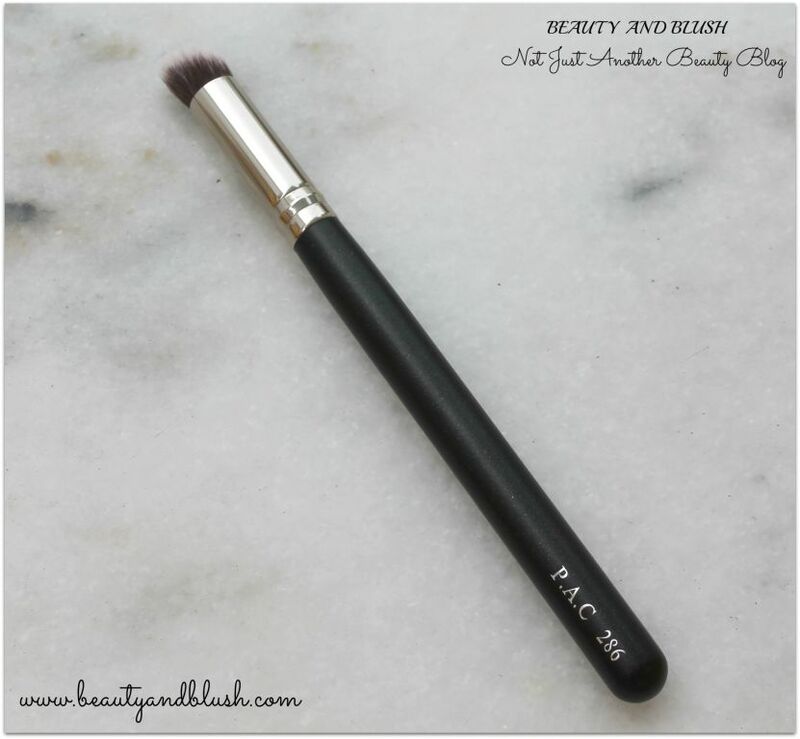 I am hearing good thing about Pac brushes… guess its time to try a few..
Mansi Pac is really coming up with great makeup tools.Do try them out,they are awesome.? 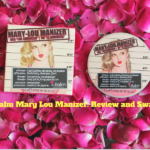 This goes straight to my buy list…loved the review.. Thank you so much Anubhuti.? Harman this one by Pac is very dense,do try it out.It is great for concealing purposes.Thanks. That a brilliant multi use brush. The packaging and zip pouch made me drool and ideas already in my head. Thank you for such a super detailed review. 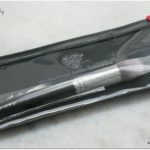 Khushi this is a brilliant multi purpose brush.I am in love with it.Thanks a ton sweetheart.? Full points. I am definitely gonna grab this soon! Do grab this,you’ll love it Megha. Shwetali Pac is really coming up with some great makeup brushes.Thanks dear.